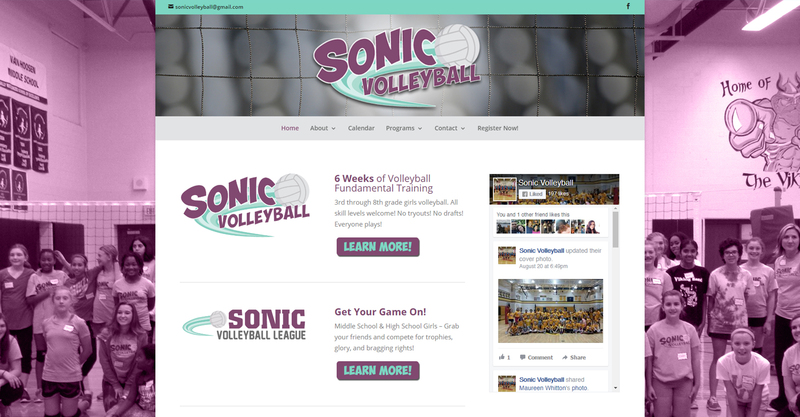 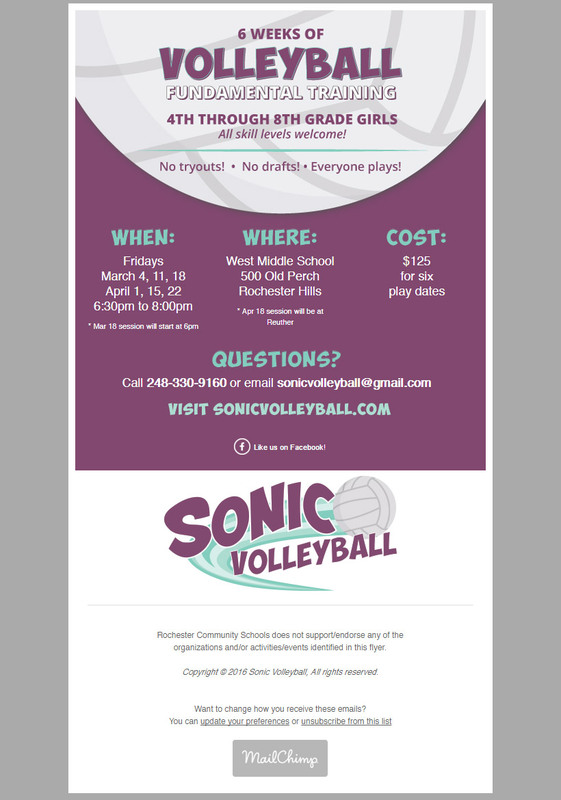 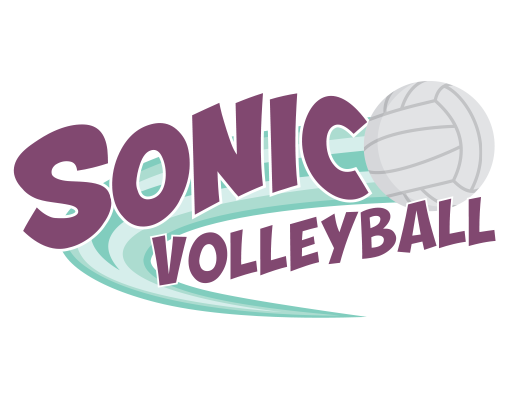 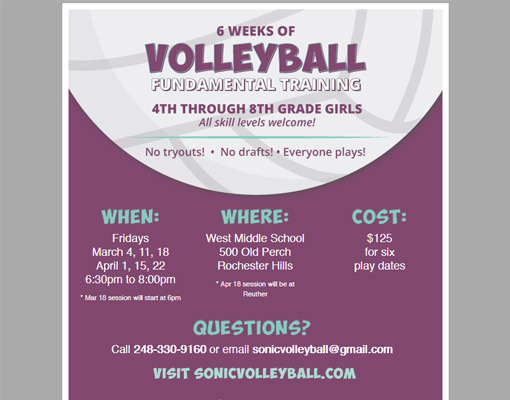 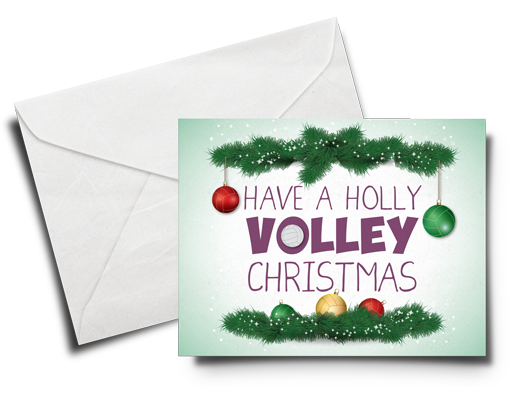 Sonic Volleyball is a sports team for 4th – 8th grade girls in the Rochester, MI area. 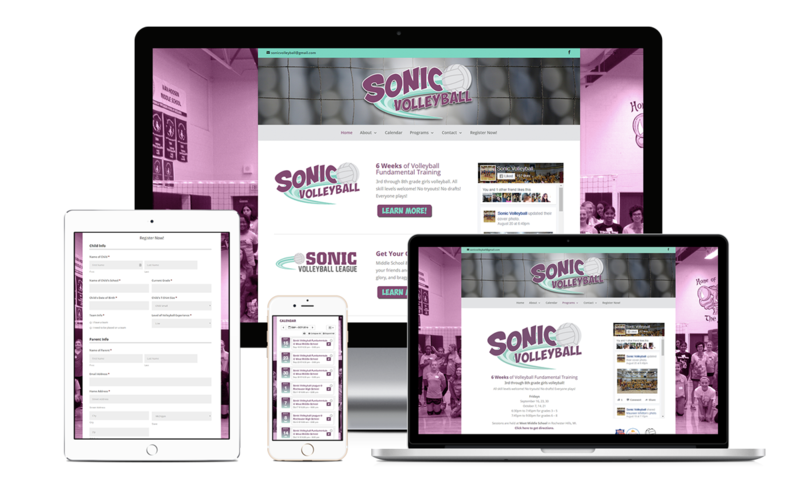 This website was built with the Divi theme from Elegant Themes and included an integrated events registration plugin, a coaching sign-up form, special graphics and Ecommerce. 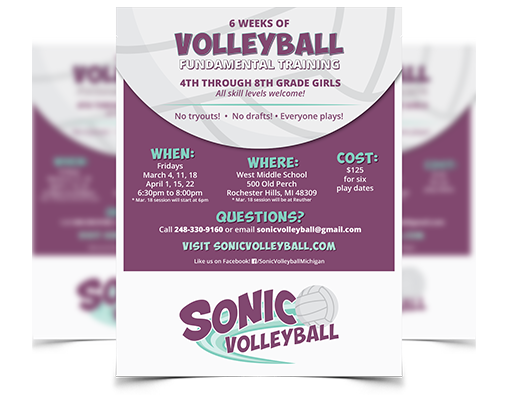 We also prepared a logo, email marketing campaign, and a flyer for them.